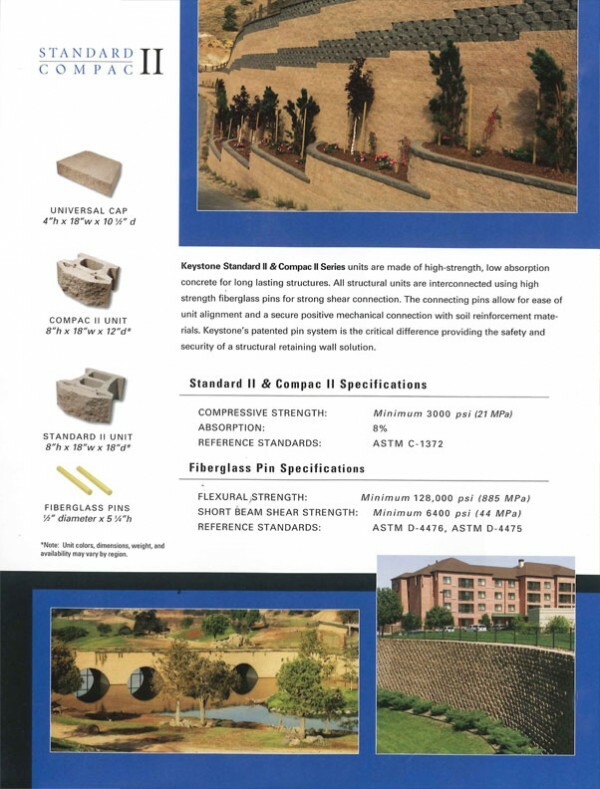 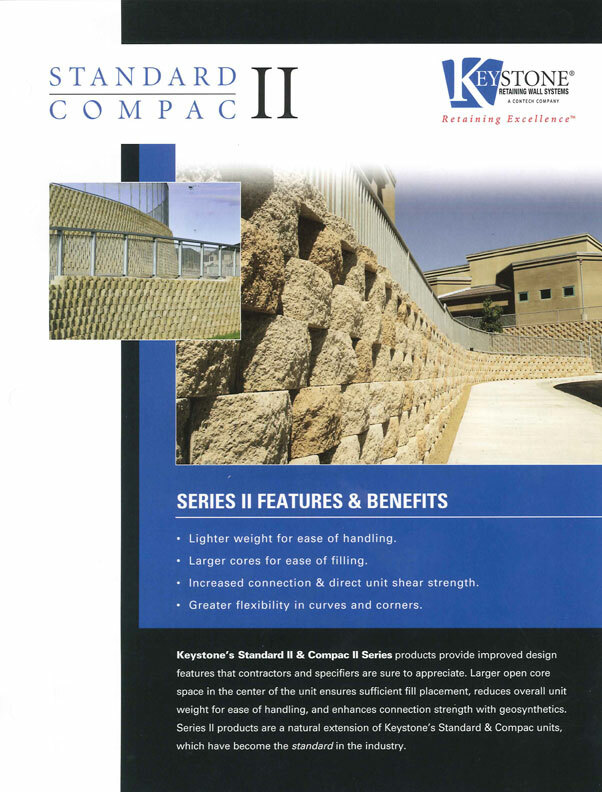 The #1 commercial retaining wall product on the market, the Keystone Compac unit is an installer’s favorite. Featuring an open core design and the pin connection system that is trusted by engineers and contractors around the world, the Keystone Compac is lighter weight than other structural blocks and has a shortened tail design that makes it easier to handle and perfect for projects that do not require the embedment length of the Keystone Standard unit. 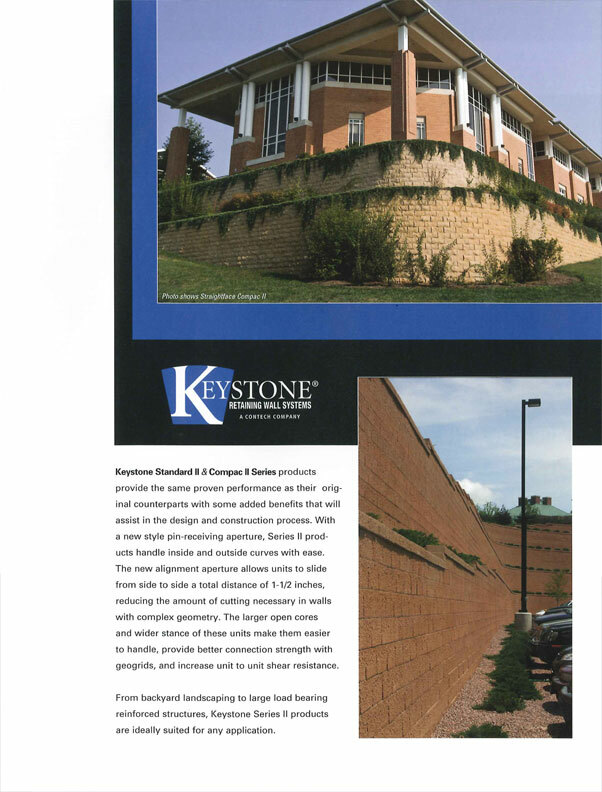 In addition to the traditional sculptured/tri-planar and straight-face face styles, the Keystone Compac is now available in a variety weather finish options including the new Hewnstone face.